Are you a business of one? That’s often the case for freelance translators and interpreters. You are the secretary, the sales team, the billing department, the project manager, the editor, and the proofreader, in addition to your primary role as a translator or interpreter. You play each of these roles every time a new project hits your email inbox. For newcomers to the profession wondering how they can handle all these different roles, an even more intimidating question might be how to market your business in a professional and appealing way. Websites provide freelancers with numerous advantages over word-of-mouth advertising, business cards, and even face-to-face networking opportunities. Easy-to-find – Most everyone has access to the Internet these days, so having a website is an easy way for potential clients to find out about your business. One central location – having all of your qualifications, specialties, testimonials, FAQ’s, and samples of your work in one place makes it easy for people to see the services you offer and to make a decision without having to call and ask a million questions. Bonus tip! Include your resume on your website and save both paper and time by not handing out hard copies of your resume at networking events. First impression – A good first impression is always important, and nothing says “prepared, “professional,” and “competent” like a high-quality, well-designed website that gives needed information, answers frequently asked questions, and provides easy ways to get in touch. Convenient – Having a website is incredibly convenient for your clients who can send projects to you by email or even a secured project-only area of your website. Up-to-date – With a website, it’s easy to keep clients and others up-to-speed on your qualifications, certifications, latest client testimonials, or blog posts. Professional – Having your own .com presence with an email address looks more professional than having clients send project requests to a generic mail service. Confident – Clients feel more confident working with a vender who has taken the time to develop his or her own website and to provide answers to common questions and useful resources like relevant and engaging blog posts. A business of one doesn’t have to mean a website design team of one, but that being said, websites like WordPress make it very easy to design an inexpensive (even free) yet professional website with some pretty advanced functionality. 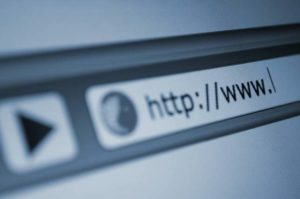 A quick Google search will reveal average prices for registering a domain name and getting hosting space, and after that, it’s up to you what to include. To get some ideas, take a look at other freelance websites, both within and outside of the language services industry. Most freelance websites are relatively simple, since it is normally a single person offering language services. This helps keep website costs down and helps the translator or interpreter save time by not needing to constantly update the website or worry about complicated website issues. On the other hand, maybe you want something a little different on your website to set you apart. The possibilities really are endless. Have you launched your own website as a freelance linguist? Do you have any tips to share for translators just starting out? Let us know in the comments below! I set up a website last year. I had it professionally designed and I’m very pleased with it, but I think it’s important that translators don’t expect a new website to bring them in lots of work immediately. They improve your professional image (I think inviting a prospective client to visit your website looks much better than sending a CV, for example) and I think they make you feel more confident about your business, but finding a tangible return on the investment is difficult. Thank you for the article and this comment. I have been thinking of creating my own website but never have the time. Can I see your website? How much does it approximately cost (if it is not a secret)?